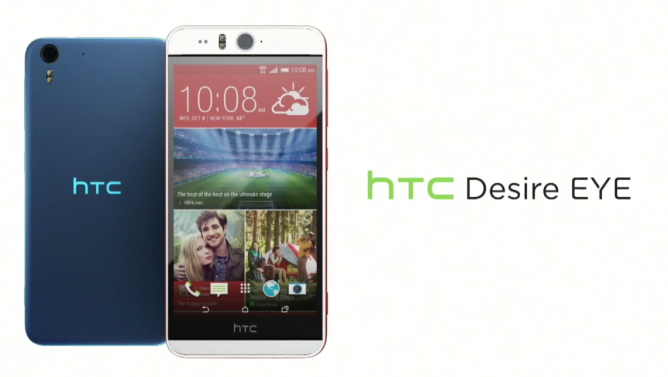 Today at its big Double Exposure New York event, HTC officially unveiled the leaked Desire EYE. What sets this phone apart from others isn't impressive specs or phenomenal build quality. Oh no, it's the giant 13MP front-facing camera. 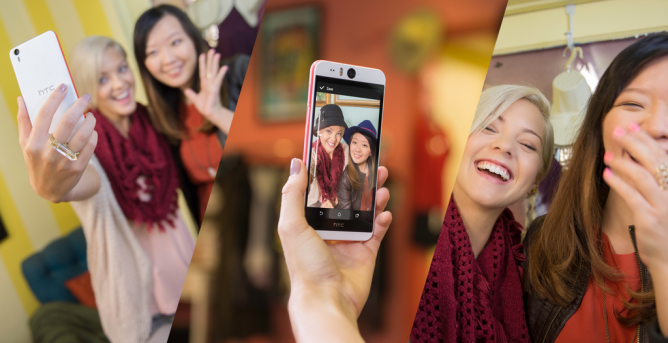 With a matching camera on the back, this phone wants your selfies to look just as impressive as the photos you take of other people. There's even dual LED flash on both sides as well. As fun as this concept and selfies in general are to mock, let's acknowledge for a moment that it's not unreasonable to expect front-facing shots to look as crisp as images captured with the rear shooter. The poor image quality is a large part of why I ignore the front cam on my devices. The other part has everything to do with the awkwardness of taking a, and I do cringe having to type this word again within a single post, selfie. The phone has a 5.2-inch 1920 by 1080 display, a quad-core 2.3 GHz Snapdragon 801 processor, 2GB of RAM, at least 16GB of internal storage (supplemented by a microSD card slot), and BoomSound. The embedded battery packs 2400mAh of juice. The device is also water resistant and sports an IPX7 rating. The Desire EYE comes with a feature known as "face fusion" that lets you merge your face with that of another person to create something that's hopefully more amusing than terrifying. It's something that's appeared on the HTC Desire 820, and it along with the full EYE Experience are set to arrive on a lengthy list of One devices via an update in the future. The Desire EYE will be an AT&T exclusive at launch, as the carrier appears to have a thing for HTC's quirky phones (and anyone else's, for that matter). Look for pricing information to pop up soon enough.